I’ve recently been away, doing a spot of wandering in Basque country. 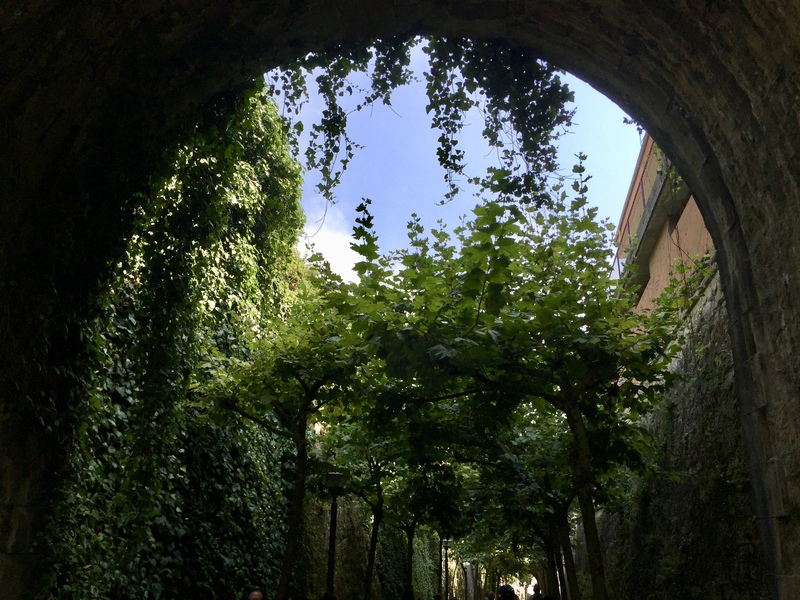 I am a big Game of Thrones fan and so, when I found out that two of the locations used for the show were not too far from where I was staying, I decided to take a look (and dragged the family along with me). If you’re not a Game of Thrones fan, don’t worry! These locations are spectacular in their own right, and interesting even without their link to the most popular show in the world. 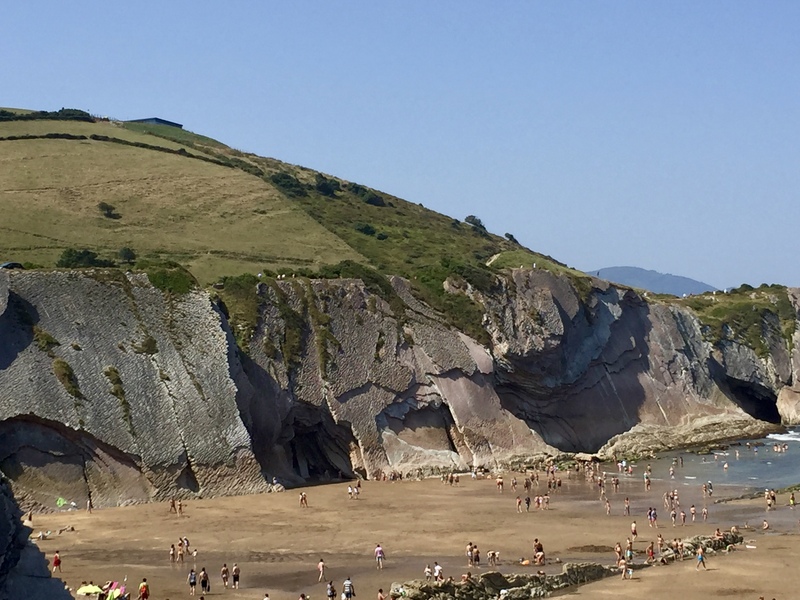 So, this week I am wandering to Dragonstone, otherwise known as Itzurun Beach, Zumaia. (Yes, I did go to the second location as well, but that will be in another post). 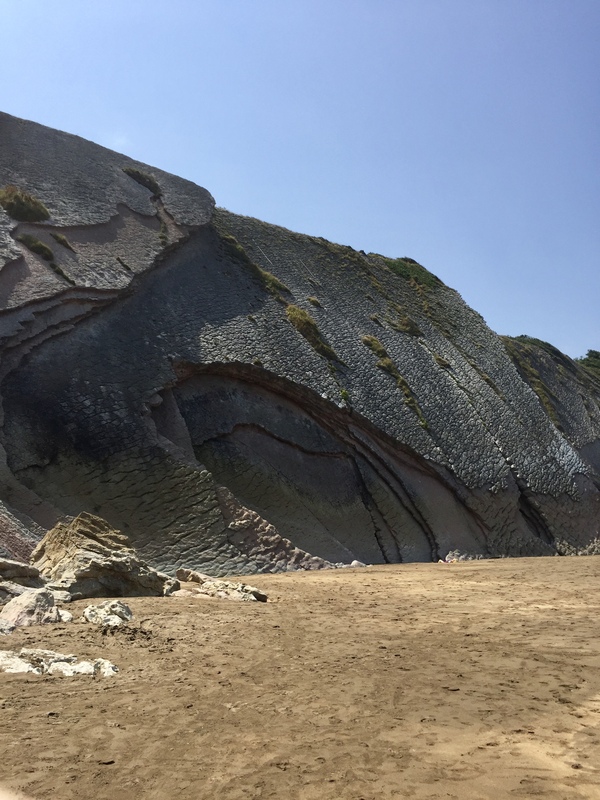 Located on the rugged north coast of Spain, Itzurun Beach is notable for its spectacular geological formations, as it is part of the longest continuous rock strata in the world. 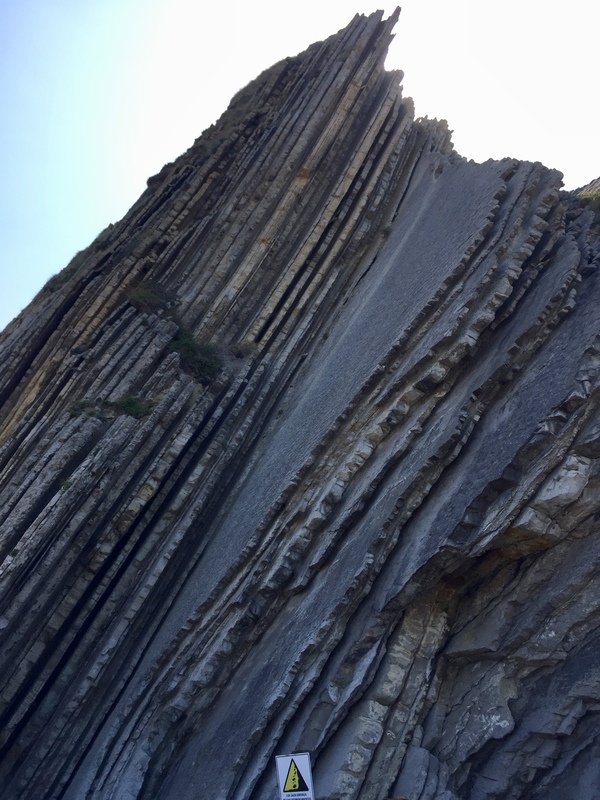 The beautiful layered rock formations are known as ‘flysch’ cliffs, and are completely spectacular. Zumaia is a lovely town, the streets lined with lowrise apartments. There is also an ancient fortified church, part of the original monastery that founded the town in the 1200s. Itzurun beach is a short walk from the town centre, along a walkway shaded by trees and a stone archway. 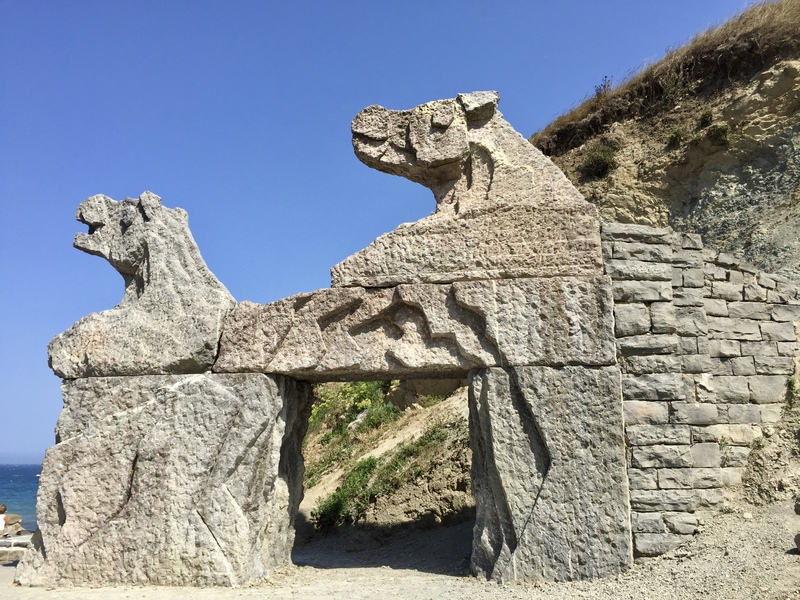 As you reach the steps leading down to the beach (also used in the show), you are greeted by a statue of two lions… or are they dragons? 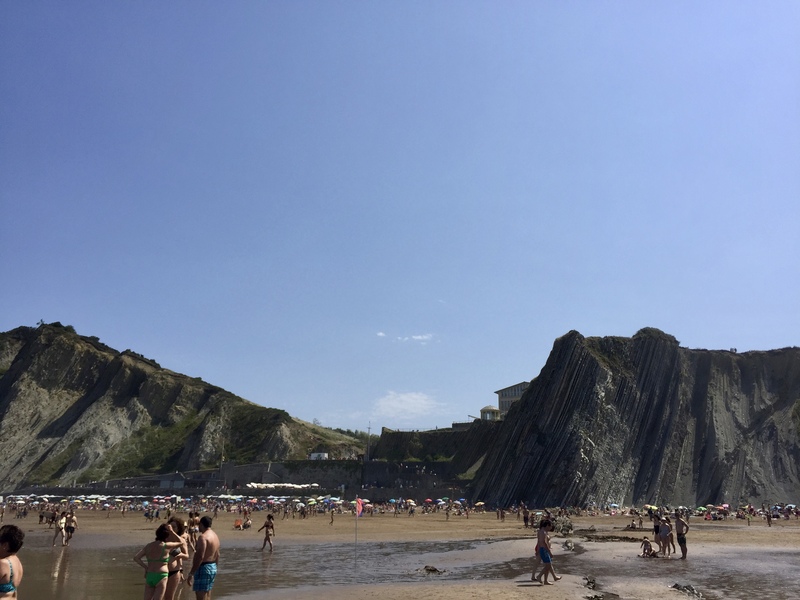 The beach itself is no secret – the day was hot and sunny day when we visited and it was packed, the restaurant overlooking the water heaving with diners, the sand covered in towels and blankets and sunbathers. I tried my best to get shots without people in them, but it was difficult at times. 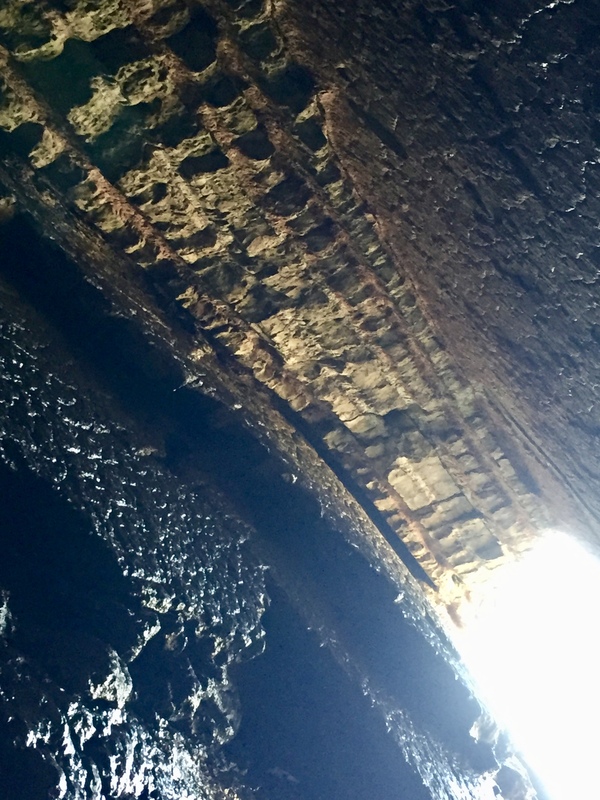 However, Game of Thrones fans will definitely recognise the cliff face and cave entrance, as well as this interior shot of the cave where they filmed Jon and Danaerys walking back to the light after visiting the Dragonglass mines. The iconic shape of the cliffs that surround Dragonstone itself are there too, though with a hotel at the top instead of a castle of stone. And so what was it like to wander in the footsteps of the Targaryens? 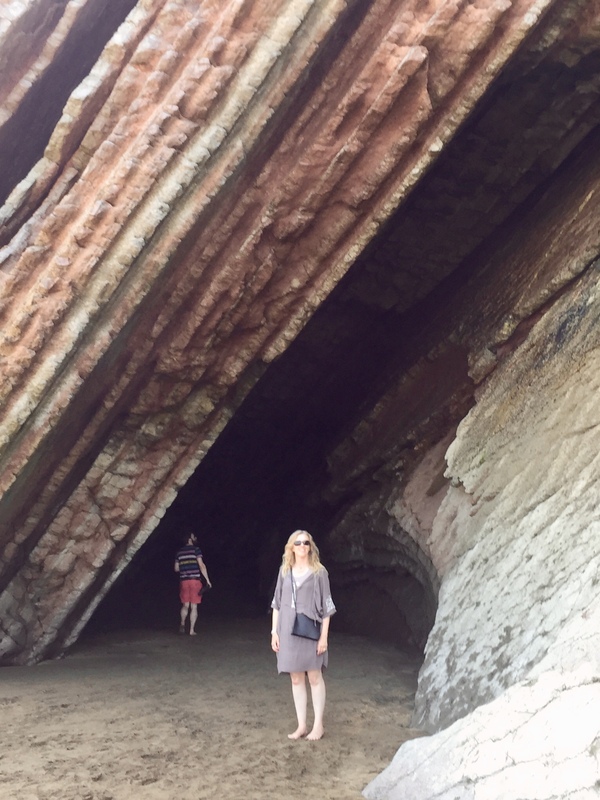 The rocks were beautiful, the layers of colour and rippling shapes like nothing I’ve seen. A young woman in a long black dress with flowing silver grey hair posed at the entrance to one cave, counterpoint to the many bikini-clad beach goers. Nearby a small child screamed, and I heard the flap of fabric as a towel was shaken out… or was it wings? Overhead sea birds soared, the waves crashing on the ancient stones, wind blowing cooler from the North as the tide came in. We spent a couple of hours there, playing in the waves, wandering around the rock formations and lying in the sun. 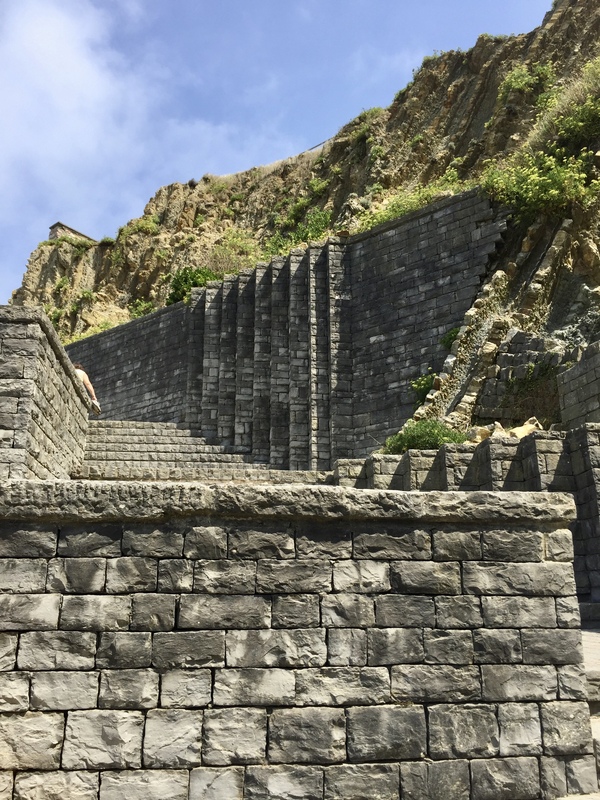 As we left, we headed up the stark grey steps used as the entrance to Dragonstone on the show and I could see why the location was so appealing, so much that they needed to create the magic of Dragonstone already in place. Next > Boost Your Following with the Bloggers Bash Twitter Chat! My goodness! They really didn’t have to use much CGI with this location, did they? They really didn’t! I was quite surprised when I saw it, and could see why it appealed so much, it was just spectacular. 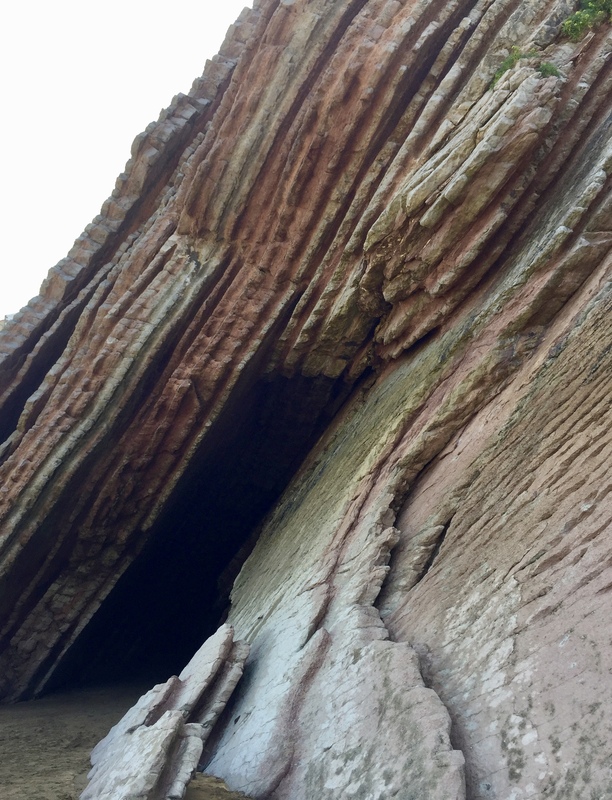 I’ve not seen anything like those rock formations, they were just beautiful. They truly are. That goes high on my list of places to visit, thanks for sharing your photos. I didn’t know they had anything like this there! Wow what an incredible place! I did wonder where it was when I saw it on tv. They pick the most fantastic locations… and no expense spared. Looking at your photos I could almost see the mist rolling in and the dragons swooping over the sea. You did so well to get some photos without people in them. Sometimes I uses the editing features of Picmonkey to remove unwanted persons from my images of locations. Sometimes I like having people in them, sometimes they’re better without. Wow that sounds wonderful! Looking forward to reading it and seeing your pics. Wow. I feel transported back in time when looking at some of those. It was gorgeous! Hard to believe it was real 🙂 And so close, really, only an hour and a half flight.